Once more a Tomb Raider game is starring the beautiful Lara Croft – featuring outstanding and huge visuals which make it easy to stare and get lost like watching flames. In fact, this is todays hot topic: Flames! Or let’s say: a Flame. I really like this idea. And i love Mr. Magma! He’ll join my adventures from now on! Have a good night diary! I spent the rest of the day wagging Mr. Magma but now we both have to go to bed and sleep a bit. But even if you look directly from above on my magic torch you don’t see any plane. This is because the plane fades out depending on the viewing angle and then a standard particle system fades in! If you look closely you can see how the both components get exchanged. Isn’t that beautiful? So much effort for a single torch…oh by the way, i don’t know why but i’ve the feeling that someone is sniffing around in the camp and reads you…i’ll keep an eye on that. You’re my precious! Eric Chadwick honored us with a small tutorial how to create a loop-able procedural generated texture. Moss mentioned this link to a flame-tutorial in video-format! Thx! This entry was posted in Game Art Tricks and tagged Lara Croft, Silver, Tomb Raider on 2. January 2014 by Simon. Thanks. Makes you appreciate the game even more. You can also tell from the animations that they put a lot of love into this game. Like when she walks close to a wall she starts holding her hand against it to support herself. Awesome. Great breakdown, I love these articles! Do observers complain when they watch you play a video game for the first time? really cool. but how did you get the sprite sheet? There are different ways to get some insight-view. Sometimes i have to use performance analyzing tools, sometimes the data lays (compressed) in the game directories already or sometimes i have to use mod tools to get to the core of the game :D Sometimes it takes really really long time and without the help of other people it’s often not possible to get all infos i need. I just wanted to say thank you for the great compliments on the fire I made for Lara. Your sleuthing skills are pretty incredible I have to say! Its always nice to have your work appreciated, and with such description! Hi Mike, it’s an honour to have you here! Thanks for your comment! You guys did an awesome job with the new TR-Game. 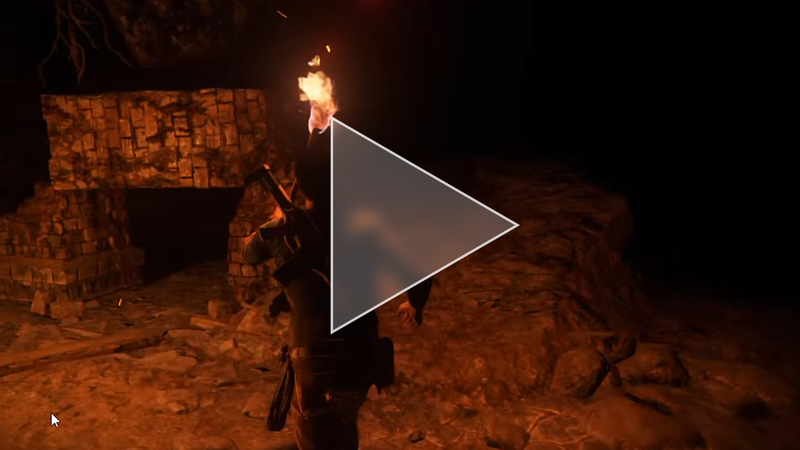 Oh and i would have a question about the fire: In one of the first cutscenes, the fire of the torch touches the cave ceiling and therefore the fire is spreading on/along the ceiling. Was this only made for the cutscene? Because i tried to reprodroduce this effect in the normal game (be holding the torch near the ceiling of a room) and nothing happened. I love the blend-out / blend-in particles thing for when looking on top of the flame! 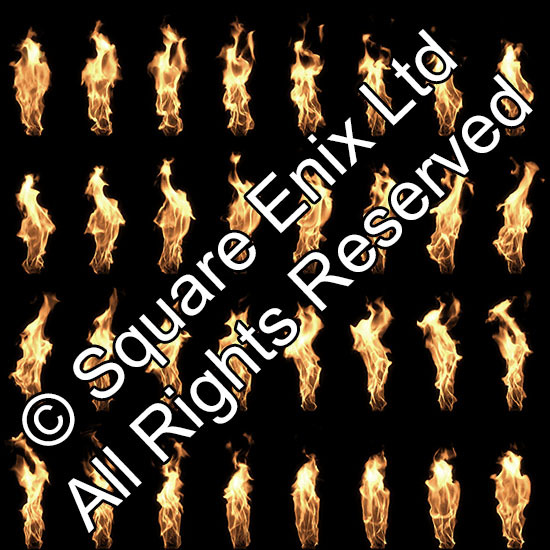 True these animation sheets can look convincing for a moment but actually I’m a fan of simple particle based fire. As it could be much more dynamic. It can go out and be lit anywhere without looking duplicated. This is really cool. I’m still not a fan of that bending, wiggling plane – the stretch effect just looks far too strange, and reminds me of glitching in games – but that top down particle fade is excellent. Gave me a new appreciation for a system I’ve largely been against. Thanks!